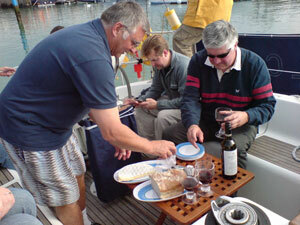 Every year Gifford Grant participates in the 100 Property Club Sailing Day. It is a fun and exciting day aboard one of two 36 foot Jeanneau yachts racing from Hamble across the Solent to Yarmouth, Isle of Wight. Along with our guests we all get an opportunity to learn a little about sailing as crew and are rewarded for our efforts with lunch at a fabulous restaurant in Yarmouth. After lunch it’s back on deck to race back to Hamble... although it’s not all play as many of us and our guests are often juggling our roles as crew with calls and emails too! 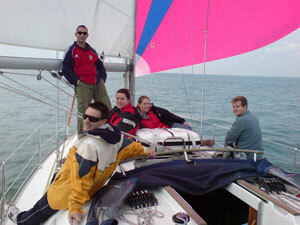 To find out how you can be part of our next crew, contact us and sign up for our newsletter. "...Our office move had a seriously short lead-up time but the staff at Gifford Grant took this in their stride and facilitated a very smooth relocation."